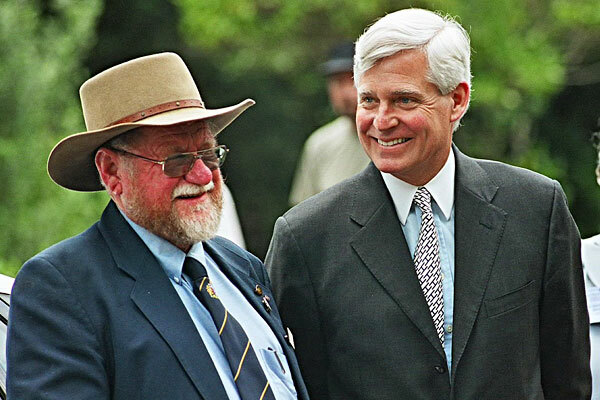 A new memorial plaque was unveiled by the US Ambassador to New Zealand, His Excellency Charles J Swindells, before a large gathering at the Musick Memorial Radio Station. 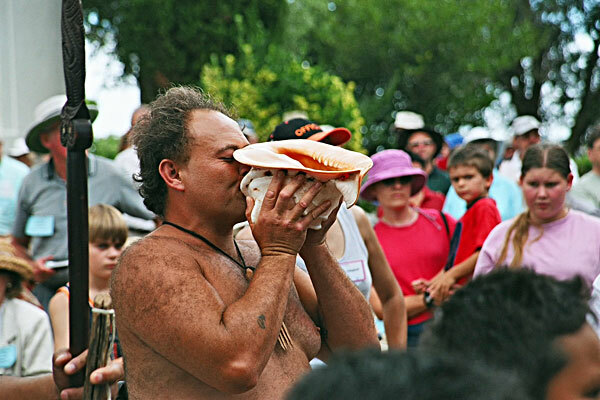 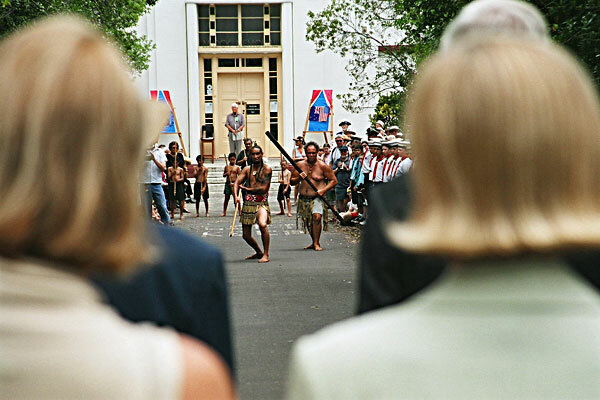 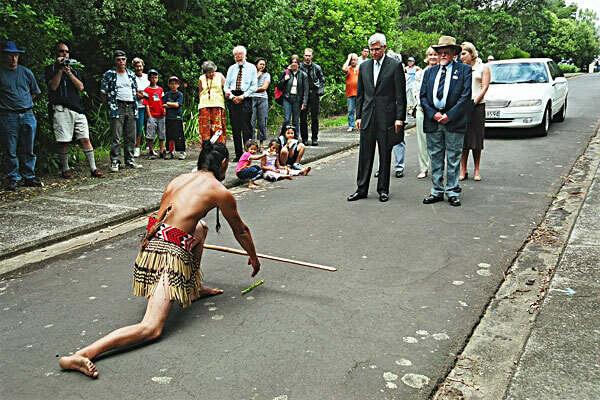 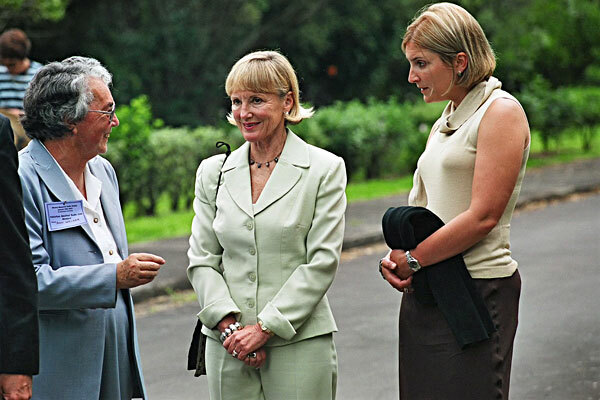 The VIPs were welcomed into the radio station grounds with a traditional powhiri. 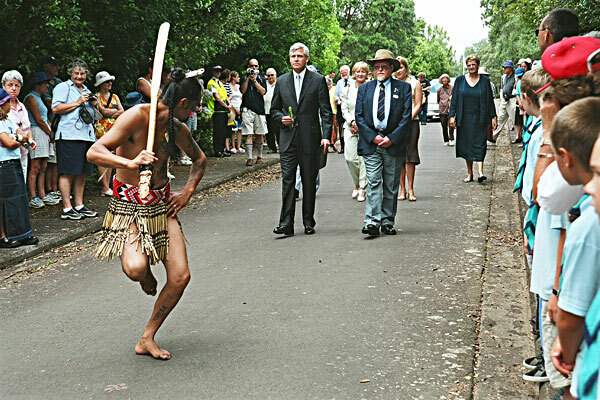 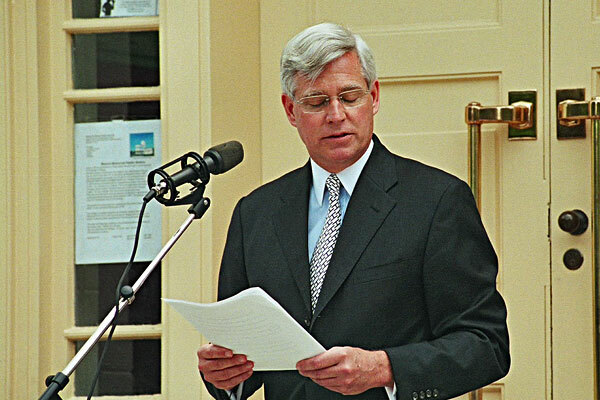 His Excellency, Charles J Swindells, US Ambassador to New Zealand, speaks at the rededication ceremony. 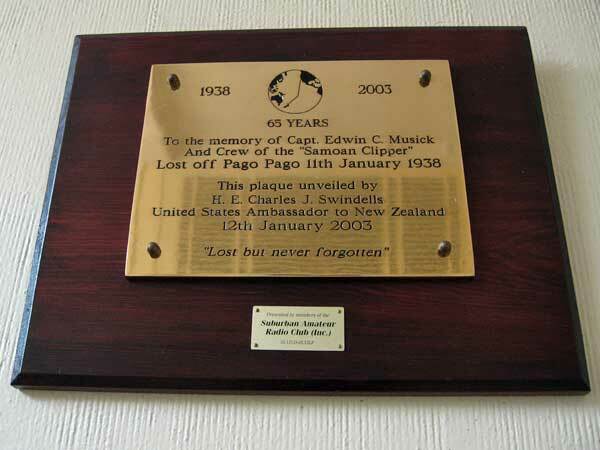 The plaque dedicated by US Ambassador Charles J Swindells on the 65th anniversary of the loss of the Samoan Clipper now hangs on the west wall in the Memorial Hall at Musick Memorial Radio Station.